As we continue our series on starting your bar prep early, we’ve already talked about choosing a tutor early, and now we’re talking about the substance of what you will be working on with the tutor – choosing the right course (or courses) to work with during your study time. It’s important, again, to find the right fit, so let’s take a look at some options. A lot of courses are on-demand, at least within the bar season. This means that you theoretically get the same benefit whether you sign up four months or two weeks before the bar exam. So, there’s no point in signing up early, right? Wrong. You should be deliberate about choosing a course that suits your needs, especially if you plan to put together a couple of different types of materials. You also need time to give yourself the best possible chance at passing. Buying a course doesn’t do you much good if you don’t use it! It’s Not Like There Are Many Options…Right? It seems like new bar courses and materials pop up every year. When I took the bar in 2010, I didn’t even know that there were options beyond the three major companies that visited my law school. Now it’s 2018, and I’ve seen SO MANY different possibilities. In the past year and a half, we’ve launched two of our own (the Brainy Bar Bank and the Self-Study Program), and we’re always hearing from other companies that are promoting new bar prep materials. This means that if you talk to your friends or coworkers who passed the bar just a few years ago, they won’t necessarily be providing you with the most up-to-date information about your options. Even if your best friend from law school is able to give you an exact rundown of all of the currently-available options, that doesn’t mean you should choose exactly the same one(s). Different people learn in different ways. You should be looking at tools and courses that suit your learning style. You should also be honest with yourself about your weaknesses and find materials that will help you target those. No matter what your learning style, all bar students should be writing out practice questions, so you should also make sure that you have a reliable source of practice questions with either sample answers or graders’ keys. If you struggle with your writing and/or your self-evaluation, you should look into a course that provides you with some instruction on how to do that properly. Beyond practice, you should look at the level of support provided by each program, the type of learning style that it suits best, and whether it fits with any other materials that you may already have. Budget, of course, is always a consideration. If you don’t have any materials, you might want to look into something all-inclusive, but if you have plenty of materials but no practice questions, you may not need to pay for more than just the practice questions. OK, You’ve Found It. Do You Know How to Use It? You know how there were people in law school (and maybe this was you – I’ll admit, it was sometimes me) who carried their books everywhere so they could feel like they were doing something to get ready for class? And, really, that’s great. You have your books. You can study at any moment. But…those books don’t really do any good if you don’t open them. Bar prep is the same way. You can purchase all of the courses out there, and spend thousands of dollars on tutoring and materials and everything under the sun that will help you get ready. But you shouldn’t breathe the sigh of relief when you make the purchase. The sigh of relief should come after the bar exam, once you’ve actually used those materials to prepare yourself. First you have to learn how the system works. Some courses are straightforward, but others have options and features that require a little bit of time to get accustomed to (hopefully not too much!). Then you need to work those materials into a daily routine (I’ll talk about setting study schedules later). If it’s a commercial outline, you should be spending time making sure that you understand all of the materials on there and are able to make it your own. If you signed up for access to practice questions, you should be doing those practice questions and reviewing your answers. If it’s a series of lectures, you should be watching those lectures, taking notes, and developing outlines. Bar prep is not one-size-fits-all. It’s an individualized process, which means that you can’t just buy a program, sit back, and expect to pass the bar. 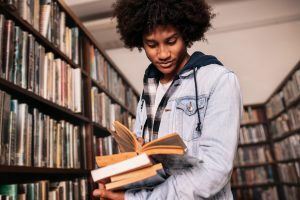 You have to choose the courses or materials that are right for you, spend time learning how to use what you bought, and then dive into them to maximize your chances at passing the bar exam. You can do this! You just need to make the effort and take the time.